Estimated Departure from San José: Between 7:00 A.M. – 8:00 A.M. 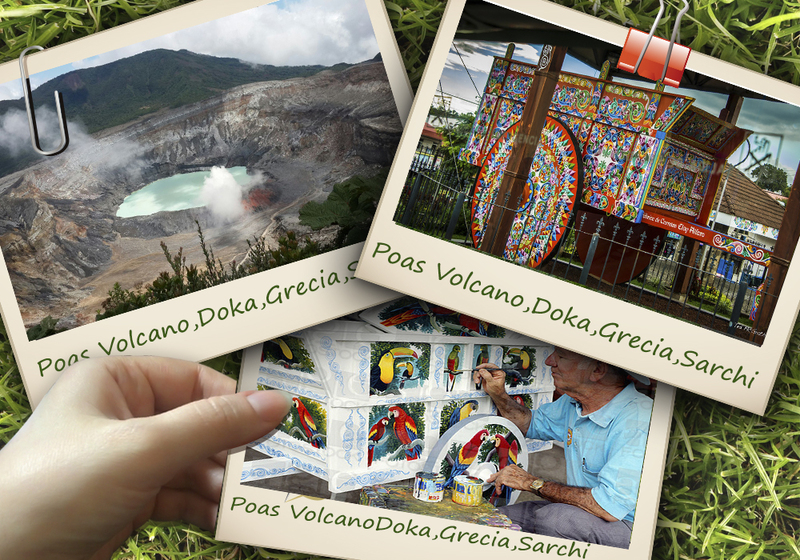 This tour takes us to the unforgettable Poas Volcano; across coffee plantations and scenic vistas, and then into the heart of the artisans´ workshops in Sarchi. To embark on this tour we will take the Pan-American Highway towards the city of Alajuela. En route we will see the Agriculture Monument, the Monument to Juan Santamaria and the popular Mango Park. As we ascend towards the Poas Volcano we will stop to learn more about our golden bean, which is a term used to describe the unique and savory coffee of Costa Rica. Then we will continue our trip through the fern, flower and strawberry farms taking in the scenic vistas along the way. At the volcano we will have time to enjoy the impressive main crater with its fumaroles, and then go on a light hike traversing a trail to the beautiful Botos Lagoon to learn about the different ecosystems. Next, after visiting the volcano, we will have time to enjoy a delicious lunch at Doka Estate. Our last stop along the way is the town of Sarchi, known as the cradle of Costa Rican artisans. Here we will take in the artistic work of the local artisans, as they create the famous typical oxcarts. Then, we will be able to shop for that special souvenir to take back home.